Plex announced that the NVIDIA Shield would support their server a few weeks ago, and it looks like the wait is over. Adding HWA transcode + Plex to what is shaping up to be one of the most compelling content consumption devices (e.g. HDHR DVR support), makes me wondering if maybe I ought to have one of these in my AV stack. 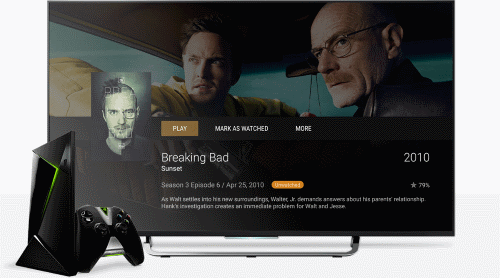 Starting today, an over-the-air software update is making it possible for NVIDIA SHIELD owners the world over to begin using their devices (all SHIELD models) as a Plex Media Server. This is exciting for a variety of reasons (listed in detail on our blog), but the most awesome one? With this single device you can store, organize, transcode, and stream your media, as well as view any of it on your TV! Not to mention, it’s an awesome gaming system starting at a great price point that offers lots of other apps as well. Check out the SHIELD site for purchasing info.